With a second convincing win now under his belt, Nottingham boxer Chad ‘2 Slick’ Sugden says he can’t wait to get back in the ring and show that nothing will stop him on his journey to the top. Just two months after making his pro boxing debut, the Suggy’s Gym super middleweight returned to the West Midlands on Saturday 14 May to go head to head with Lithuanian Vaidas Balciauskas on the card of MAY-HEM at Walsall Town Football Club. Fighting over six three-minute rounds, the 22 year-old treated the capacity crowd to a master class in boxing, to the delight of over 160 local supporters who were at the show to see him outclass the Lithuanian and secure his second consecutive victory by a unanimous decision. With his impeccable footwork, timing, balance and movement, Chad stole the show in a performance that was on a completely different level, not just from his opponent but from any of the other top boxers on the card. “Vaidas was a very tough opponent but he took some punishment tonight,” said Chad. 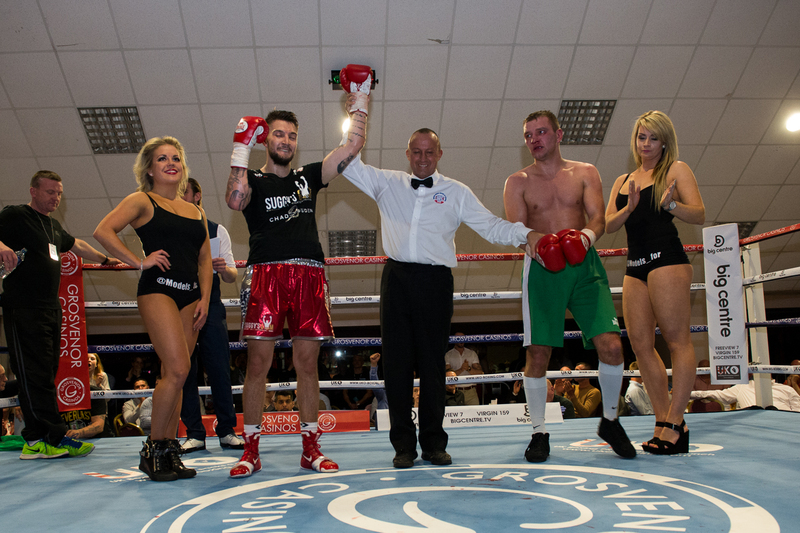 “As Jon Roberts, head coach of UTC Staffs, said after the fight, I was just 2 Slick for him! “It’s still early days but I’m here to stay in the boxing world. As far as I’m concerned the sky’s the limit – I’m going all the way to the top and I can’t wait to get back in the ring again. “But I couldn’t do what I do without the fantastic support of so many people. “First and foremost, there’s my coach and manager Dean Sugden, who’s been with me every step of the way and works tirelessly to help me achieve my dream. “Then there are my sponsors – BillyOh, Communication Avenue, Anderson Green, Evolution Waste Management, London Eye, Booster Fight Gear UK, GoodFit Nutrition and Vitargo – who make it possible for me to train the way I do. Suggy’s Gym head coach Dean Sugden commented: “Chad is every coach’s dream – an outstanding talent who does everything that’s asked of him, both in training and in the ring. Just when you think you’ve seen him at his best, he keeps getting better and improving all the time. “What’s next for him? Well, Chad will be taking a well-earned break for a couple of weeks now but we left Walsall on Saturday with three fight offers on the table so we’ve already got our sights set on the next steps. 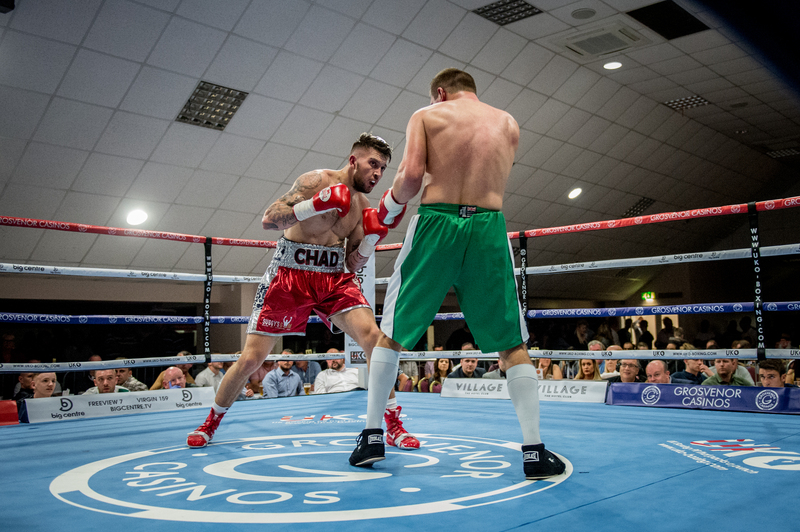 “Ricky Hatton, co-promoter of Saturday’s event, was so impressed with what he saw that he’s put Chad down as the first name for his show in Northampton on Saturday 3 September.